The simple, square lines of the Antonio outdoor wicker ottoman offer clean accessorizing for any existing furniture as well as the bold contemporary Antonio collection. 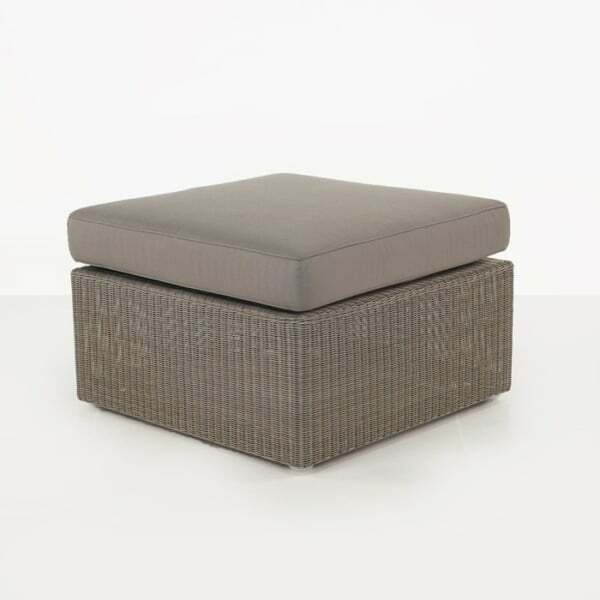 This outdoor ottoman is built using the finest synthetic outdoor wicker in Stonewash color and a lightweight, durable powder-coated aluminum frame. 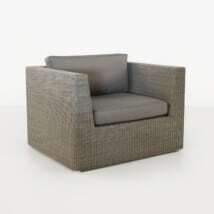 It can easily be used for extra seating space or to really stretch out while using this to put up your feet. 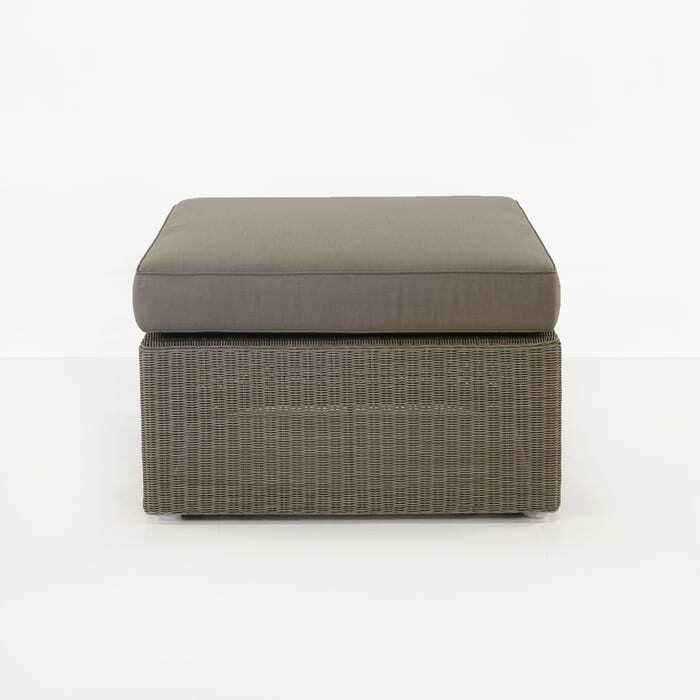 Made for outdoor use and having a contemporary style, this outdoor ottoman is sure to be a versatile addition to your space. 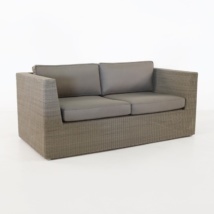 The Sunbrella cushion is included as shown, free of charge. 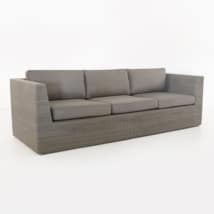 W27.5" x D27.5" x H18"